Earlier this week, it was reported that the Solar Impulse 2 had been damaged on its record-breaking flight from Japan to Hawaii. The extent of the damage was not released to the public, until now. Unfortunately, the Solar Impulse 2 will be out of commission until next spring, about eight months total, as repairs are made to fix an engineering flaw that allowed the plane’s batteries to overheat severely. During the first ascent on day one of the flight from Nagoya to Hawaii, the battery temperature increased due to a high climb rate and an over insulation of the gondolas. And while the Mission Team was monitoring this very closely during the flight, there was no way to decrease the temperature for the remaining duration as each daily cycle requires an ascent to 28,000 feet and descent for optimal energy management. 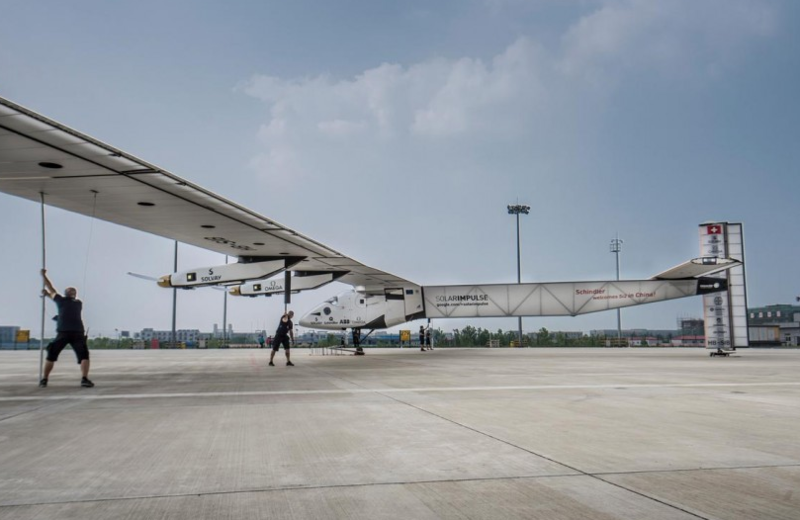 The record-breaking non-stop solo flight lasted 117 hours and 52 minutes, and after realizing the batteries were over-insulated, the team wasn’t able to cool them down during flight. It could be far worse, however, because the team will get to spend eight months fixing up the Solar Impulse 2 in Hawaii. I’d take that any day of the week!